Take a short 5 minute survey to get a free download of the report. 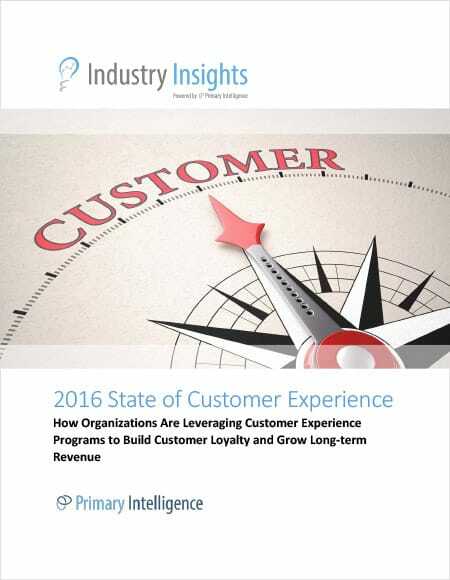 What are the key benefits associated with Customer Experience programs? Who within the organization is typically responsible for collecting and analyzing CX data? What’s the typical length of CX initiatives? How much do organizations spend annually on Customer Experience tasks? Which stakeholders are actively supporting their organization’s CX efforts? How prevalent and effective are third parties in running CX programs? Who has internal access to Customer Experience findings? How frequently is CX data available today, and what’s the desired level of availability? Which Customer Experience data collection tools are in greatest use currently? What are the key reasons organizations fail to implement or continue CX programs?